Most cuts on wood are usually done while it's horizontal and before the workpiece has been installed. But if you discover that your trim, paneling or a vertical part of your project doesn't fit -- and it's already in place -- you may not have a choice of where to make cuts. Don't sweat it. There are saws that can handle such a task. Vertical cuts are routine in all kinds of situations, and you don't need to be a professional to tackle them. Some saws can cut from almost any position. Think of a reciprocating saw as a jigsaw on steroids. 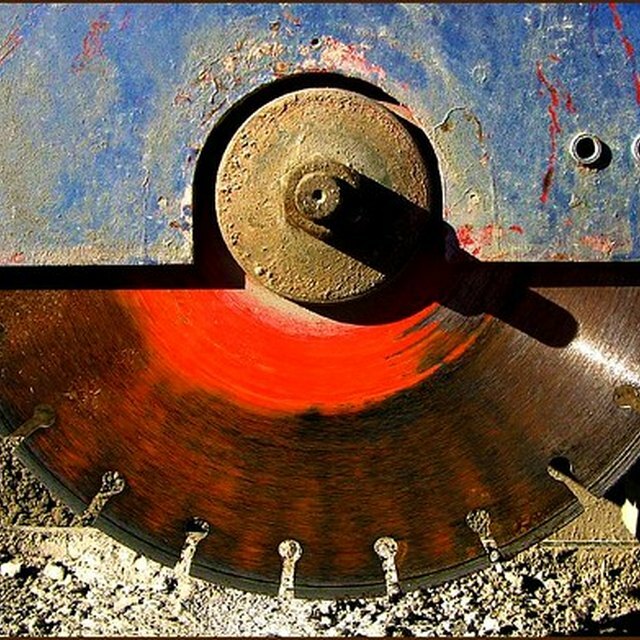 The blade of a reciprocating saw extends straight out, unlike a jigsaw blade that is at 90 degrees to the handle. The reciprocating saw also packs more power than a jigsaw and has a more aggressive cutting stroke. This type of saw can be guided in almost any direction, including vertically. It will cut through nails, screws or any type of wood. It's perfect for trimming almost anything. Due to the saw's aggressiveness, if you're doing finish work install a fine-tooth blade to prevent chipping and splintering of the material. The jigsaw is the little brother of the reciprocating saw. Use it to make almost any type of vertical cut on wood that requires a more delicate touch. It won't cut through nails or screws easily but is fine for most materials up to about 1 inch thick. The jigsaw will make a straight cut if properly handled, and blades are available that will make cleaner cuts than with a reciprocating saw. It's slower, but you can control a jigsaw more easily than a reciprocating saw. The user-friendly quality of the jigsaw makes it a top choice for trimming or cutting vertically. The circular saw is at home on most building sites. It's aggressive, makes straight vertical cuts and it's fast. The circular saw outperforms the jigsaw and reciprocating saw for most straight cuts. It can be tricky to use in some situations, but the cuts tend to be straighter and more accurate than with almost any other portable saw. Blade depth is another advantage because you can set it to make a shallow or deep cut, depending on what you need. That makes it well-suited for trimming a single layer vertically. Circular saw safety is a critical consideration. This saw is inherently more dangerous than the jigsaw or reciprocating saw, primarily due of its exposed blade and tendency to kick back. Keep two hands on a circular saw at all times, and always make sure the guard is in proper working condition. If you don't have a power saw or are uncomfortable using them, don't be afraid to use a handsaw to cut vertically. It's not the top choice, but carpenters use one frequently to make vertical cuts on trimwork and panels. Handsaws are especially handy when working on a ladder or in a location where power tools won't fit. It might take a bit longer, but the handsaw will get the job done. As with other saws, some handsaws have aggressive teeth that cut fast, and some have fine-tooth blades that cut more slowly and precisely. For most vertical cuts, aggressive teeth are better. Most handsaws cut from the top down, but if there's no other choice, it's possible to cut upward using a handsaw. Power saws can cut equally well up or down depending on the application.